So what this mod does is replace the default 2K scoreboard with TNT style. 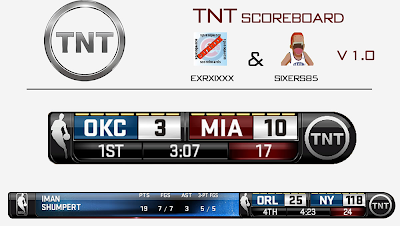 The interface has been completely overhauled to copy the real scoreboard design that you see on live TNT TV broadcasts. I haven't really had the chance to test it on other monitors other than my own, which has 16:10 aspect ratio, but this shouldn't be an issue since this scoreboard is not centered unlike the FOX Scoreboard. 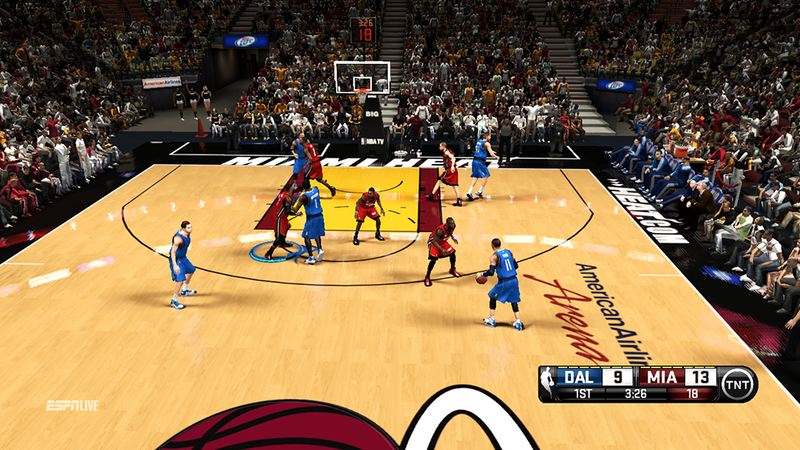 New patch will fix the background colors on the scoreboard. 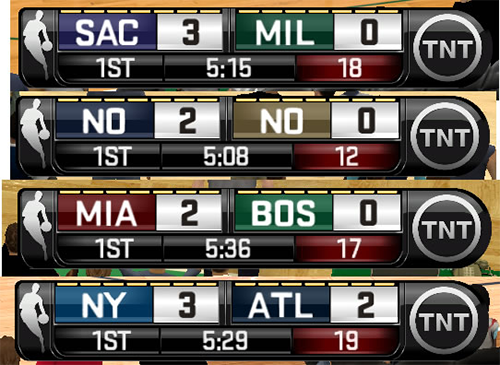 Fly-out bar displays only that team color which is normally its home color. 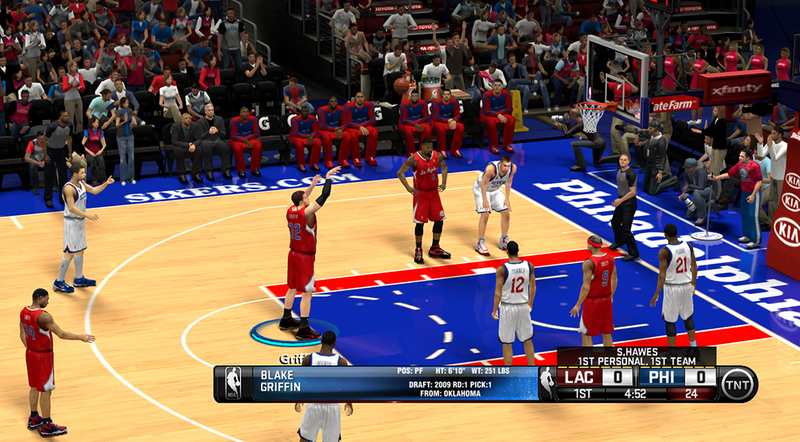 For example, Pistons at home = red, Pistons = away blue, so fly-out bar will always display red. For teams with only one color, e.g. 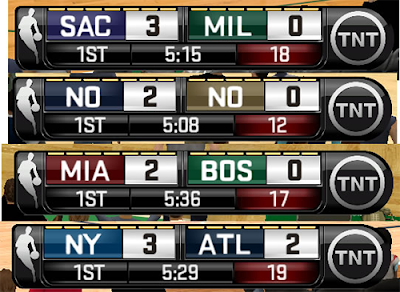 Celtics. Home and away will always be green. Just take a look at the screenshot below for better understanding. 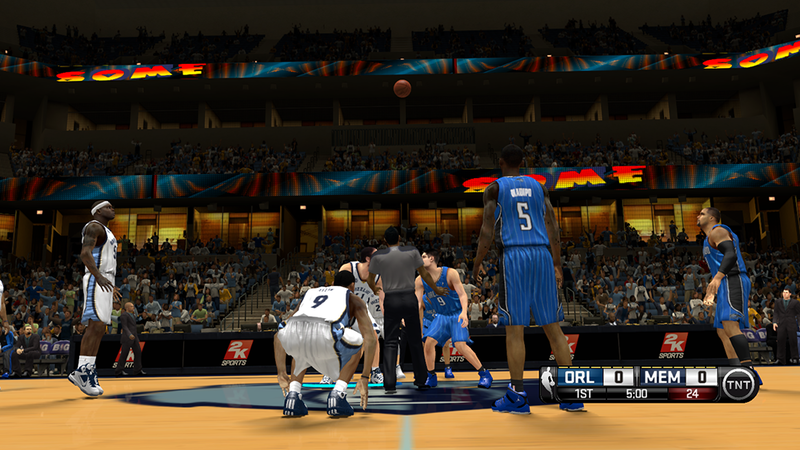 Here's a screenshot provided by Scarface to give you an idea of how it looks like in-game. Taken from monitor with 1366×768 resolution. 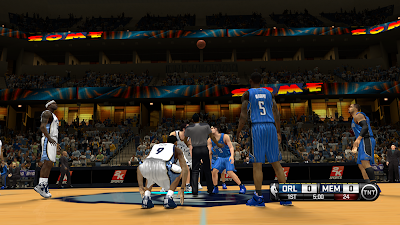 Below is another screenshot taken from 1600x900 game resolution. 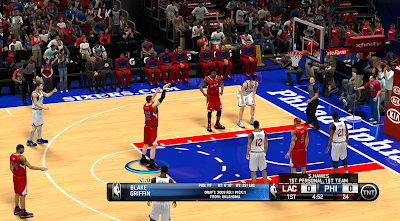 Note: Install V1 first then apply the scoreboard fix (V1.1). - Go to "Video Settings" and set the texture quality to "High". - You must use your max game resolution. 1. Download the patch above. 2. Extract it using WinRAR. 3. Run& TNT v1 application file (.exe). 4. 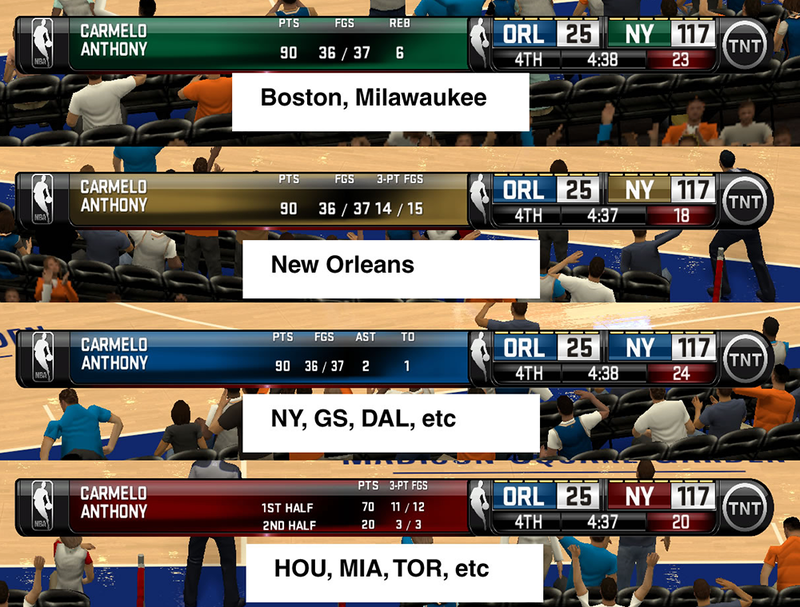 Choose NBA 2K14 main game folder as destination. 5. Click extract and wait until it finish. 6. Done! 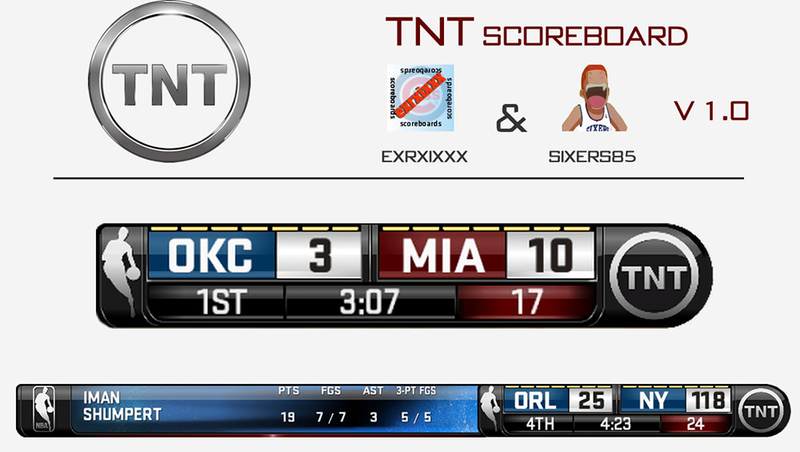 You can now play the game with TNT scoreboard.